Kiwi fruit hangs from the pergola of a Gorbio garden. 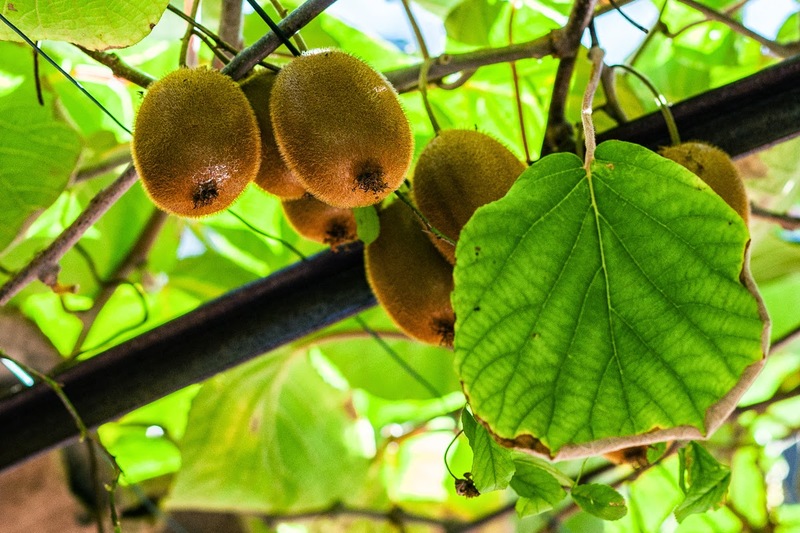 Des Kiwis qui pendent d'une pergola d'un jardin de Gorbio. I never knew how the leaves of a kiwi bush look like. Or are they hanging like grapes? The backlighting of the leaves is wonderful. Thank you for showing them on the branch! I love all the shades of green in the photograph.